Pursuant to the General Statutes of the State of North Carolina and Town of Beech Mountain policy, bids and proposals are invited and will be received by the Town of Beech Mountain until the public bid or proposal deadline date and time specified. Solicitation documents and specification information for the bid agent is located in the listing for the Bid, RFP, and/or RFQ. All Bidders must comply with nondiscrimination provisions. The Town of Beech Mountain is an equal opportunity agency and invites small and minority contractors to bid. The Town Council or its delegate reserves the right to reject any or all bids or proposals. 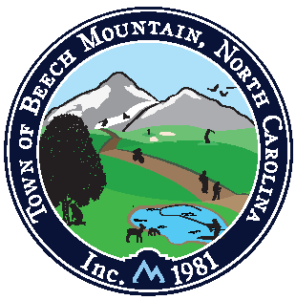 The Town of Beech Mountain will receive informal bids for the Buckeye Recreation Center Site Improvements Project at the Town of Beech Mountain Town Hall, located at 403 Beech Mountain Parkway, Beech Mountain, NC 28604 until 3:00 p.m., February 12, 2019 local prevailing time. Bids may be submitted by mail or in person. Bids received after this time will not be accepted. Bids will be solicited informally and opened at the time, place, and date indicated. The project generally consists of the installation of a durable drive-able surface on the grassed area south of the tennis courts to allow access for emergency vehicles. Additionally, the project includes grading the area to eliminate water ponding and improve the site drainage. Bid documents consisting of Contract Drawings and Project Manual will be sent electronically to interested Contractors. Questions regarding the intent or Scope of Work to be given consideration must be delivered in writing or by email to WithersRavenel to the attention of Jacob Gray (jgray@withersravenel.com) and must be received at least ten (10) working days prior to the date fixed for the opening of bids. Appropriate responses, where required, will then be issued by addendum to all plan-holders prior to the date scheduled for submittal of bids. generally consisting of the furnishing of all services, supplies, materials and equipment, and performing of all labor for the construction of approximately 452 Linear Feet of paved multi use trail along NC 184. A refundable deposit of Fifty Dollars ($50.00) in cash or certified check is required. Orders for plans and specifications which are to be delivered by parcel post or other carriers will not be accepted for a period of five (5) days prior to bid date. Five (5) copies of plans and specifications will be furnished to the successful bidder for construction purposes without charge and additional plans and specifications will be available to the successful bidder at the cost of reproduction. All bidders must have current North Carolina licenses for all work for the project. contract in accordance with the bid bond. This deposit shall be retained if the successful bidder fails to execute the contract within ten (10) days after the award of bid or fails to give satisfactory surety as required in North Carolina General Statue Section 143-129. Each Bidder must be appropriately licensed as a Contractor as provided in Chapter 87 of the North Carolina General Statute.